The mission of the Hoofer Riding Club is "To foster horsemanship, inspire leadership, and create community through equine education." We value horsemanship, human and horse compassion, education, and dedication. The Hoofer Riding Club is one of the six clubs that comprise the Wisconsin Hoofers, an outdoor recreation program founded in 1931 with roots dating back to 1919. The HRC has been the official riding club of the university since 1939, when the UW Hunt Club joined Hoofers and changed their name to the Hoofer Riding Club. In 1998 the club moved to their own stable in Belleville, where they operated an educational and boarding facility called the Hoofer Equestrian Center. The club restructured in 2016 and moved its programming to Liberty Stables in Verona. Club programming includes lessons, schooling shows, clinics, summer camp, and volunteer opportunities for all ages and ability levels. The HRC is a student-run, not-for-profit organization that strives to provide fun and affordable programming for UW-Madison students, community members, and families. We have approximately 120 members and 8 lesson horses. 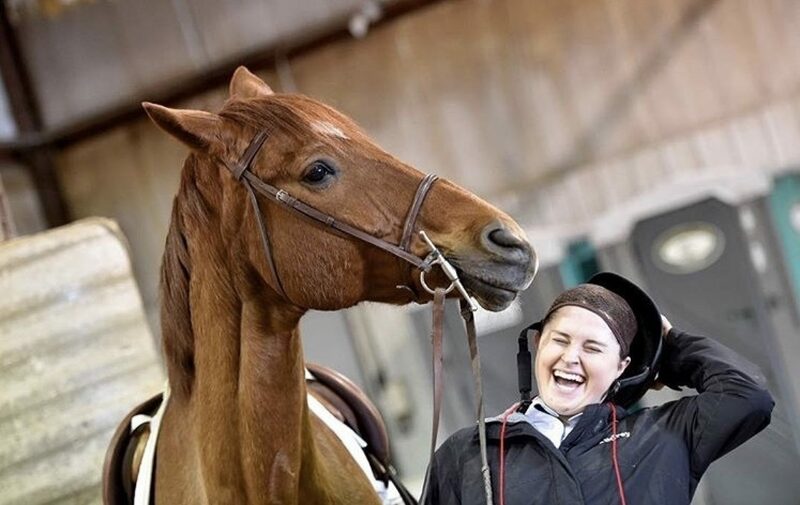 The Wisconsin Equestrian Team is a self funded, nationally recognized competitive riding team that represents the club and the university at collegiate shows across the nation.